I hope you’re having a wonderful week. The product I’m reviewing today is one many people(especially those of you living in Lagos) would have seen in some cosmetic stores near you. My mum got this for me when I asked her to buy me a cleanser. This wasn’t exactly what I wanted but I used it all the same(after a thorough lecture on gratitude…lol) Enough talk, on to the review! Effective deep cleanser which gives thorough cleansing to achieve a smooth blemish-free complexion for a youthful glow. Removes deep- seated dirt and excess oil leaving your skin naturally whiter. It has unique natural skincare properties to prevent pimples, whiteheads and blackheads from coming back. 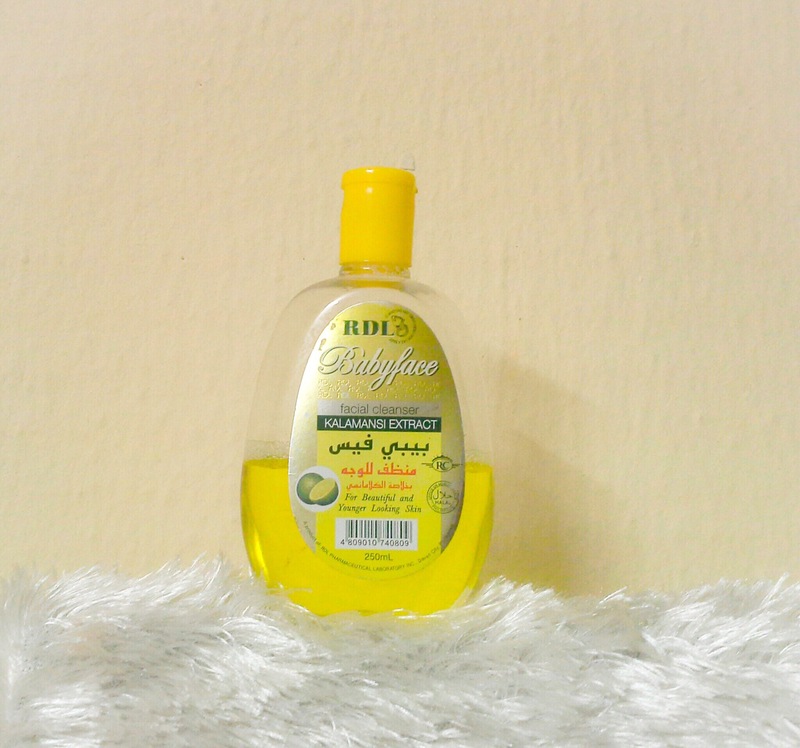 It also moisturizes your skin with fruit extracts to keep it soft, smooth and supple. It has a transparent bottle with a cap which allows you to control the amount you dispense. 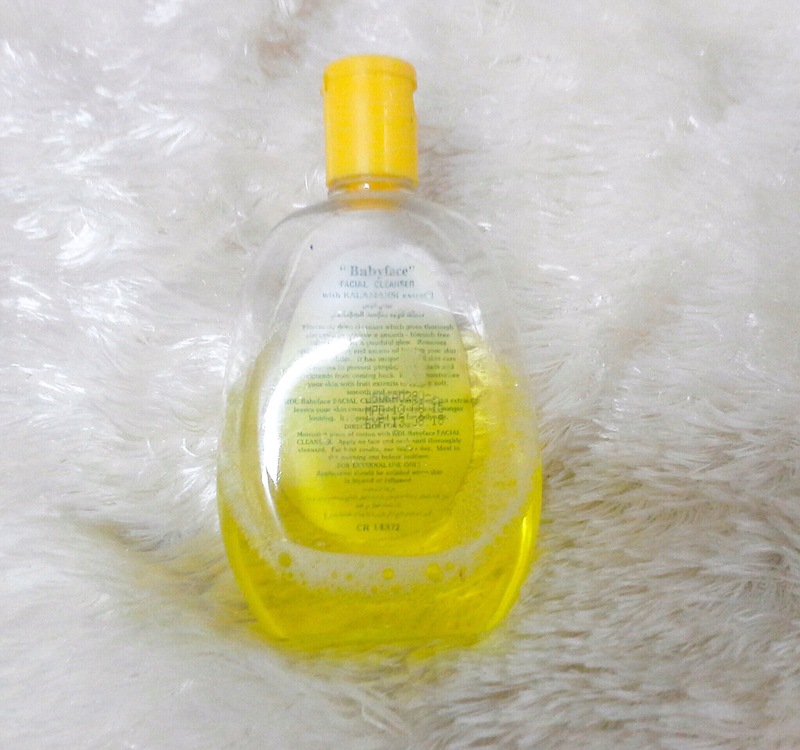 The cleanser is yellow in colour and liquid in consistency. I usually use a cotton wool ball to apply it to my face and neck. When applied, it really gets the grime out of the skin. 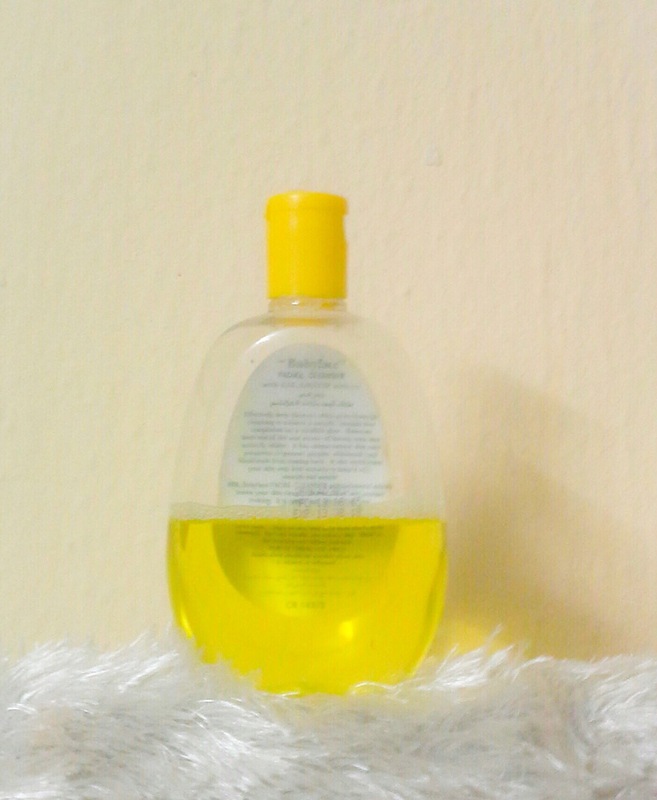 I use it after having my bath or washing my face before I moisturize. I noticed my skin feels cleaner after using it. My skin does not feel tight or stiff(it does not dry me out), something many cleansers/toners tend to do. I noticed my skin has a glow after using it. I’ve not gotten lighter(or whiter). I’m not acne- prone so I can’t vouch for its pimple-fighting properties. I’ve been using it for about 5 months and I really like it for my combination skin. The only thing is that it may be too moisturizing for oily skin types. Verdict: Would I repurchase this cleanser? Yes, I would. It’s very affordable and cleanses the skin well. I rate it an 8 out of 10. What cleanser/toner do you use daily? Leave your comments…let’s chat! ** Please note that all prices mentioned are subject to change.